Google Images lets us easily search for photos and other types of images. But thanks to a new web service, we can now put the results of a Google Image search into a browser slideshow. This web service is called simply Google Image Slideshow. 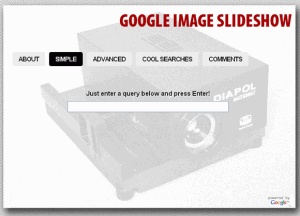 Google Image Slideshow is a great and simple tool that shows Google Image search results as a slideshow. To begin the slideshow all you have to do is type in your query and press the Enter key. If you want to view an image through its direct URL, there is a button for it at the top right of each image. By bringing your mouse pointer to the bottom of the image you can control the speed of the slideshow. 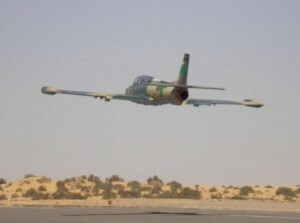 The slideshow can further be customized by entering the “Advanced” tab on the site’s homepage. Through these controls you can control various aspects of the slideshow such as specifying dominant colors and a specific website for the images. A user friendly web service. Shows Google Image search results in a slideshow. Lets you specify the website for the search results. Lets you control the speed of the slideshow. Lets you control the image size, colors, and other aspects of the slideshow. Do you want to put up a slideshow for the images on your WordPress blog or site? Normally to accomplish this you would have to tackle with some coding issues. But with the help of Easy Gallery Manager, you can get the WordPress slideshow without dealing with any code at all. Easy Gallery Manager is a WordPress plug-in with a download size of 32KB. In order to download it you simply have to share the site’s URL with your friends on Twitter or Facebook. With the plug-in downloaded and installed, your jQuery slideshow on WordPress initiates. To organize the images you simply drag’n’drop them. The plug-in also provides you with numerous customization options that let you change the transitioning, timing, and other aspects of the slideshow. A user friendly web tool. 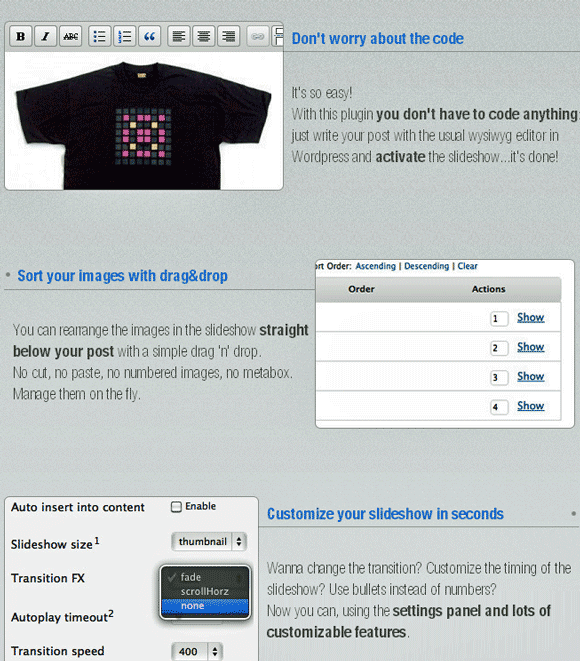 Lets you easily setup a jQuery slideshow without having to code anything. The slideshow can be easily customized. 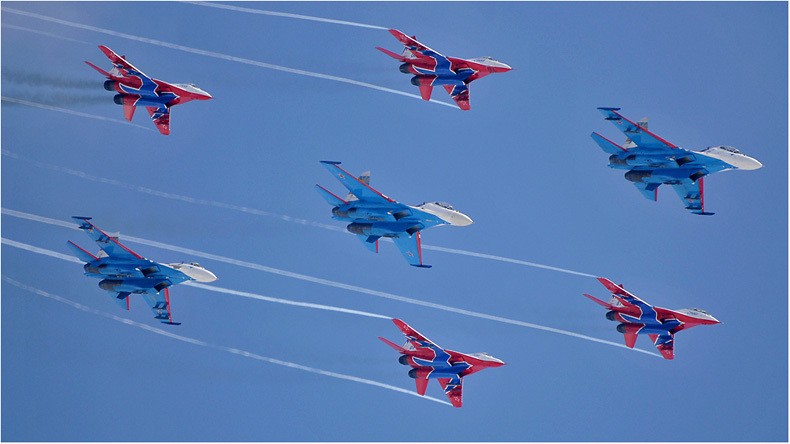 Taking off and landing, raising in the sky and going into a power dive, drawing colorful pictures in the air – all this and more from Russian aviation during exhibition flights.